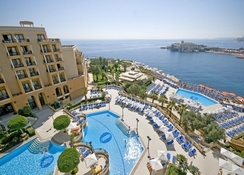 Corinthia Hotel St. George's Bay is located in St. George's Bay. Practically surrounded by the Mediterranean, the hotel offers unrivaled luxury and comfort. 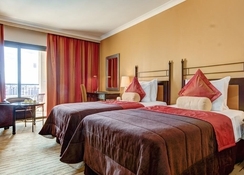 The hotel is located right next to the shore, and offers breath-taking views of the ocean and the famous Dragonara Casino, which is located at the entrance to the bay. The Corinthia Hotel St. George's Bay offers a wide selection of restaurants and bars, and a private pool with excellent water sports facilities. The hotel complex is far away from the hustle and bustle of Paceville. Recently restored to restore its ancient beauty, the Bay of San Jorge is the only beach in the area and is therefore extremely popular with locals and tourists alike. Corinthia Hotel St. George's Bay is a beachfront hotel located on the San Jorge Bay. In the hotel’s vicinity there is a large shopping area, several bars, restaurants and entertainment venues. 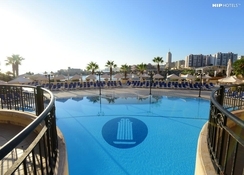 The seaside resort of Sliema, with its beautiful promenade, cafes and restaurants, is only 4.2km from the hotel. On the other hand, Valletta, capital of Malta, is only 10.6km. There is a public transport stop 500m from the hotel. The Malta International Airport is 11.6km from the property. 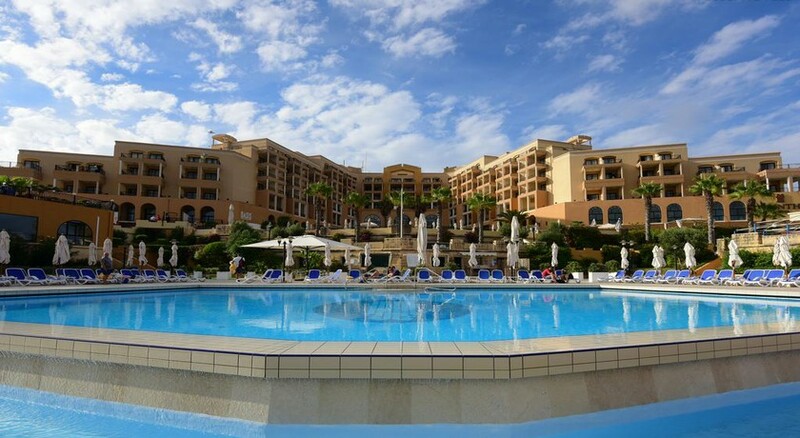 Corinthia Hotel St. George's Bay is popular among business travellers as well as families and couple. Offering 248 guestrooms that are chic and stylish are perfect for those who need more space for relaxing, entertaining or informal meetings. 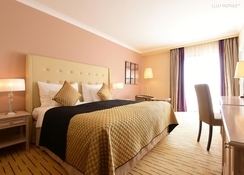 The guestrooms are categorised as suites rooms and family rooms. All rooms offer great views of the Mediterranean Sea and the coast. 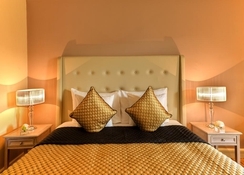 The guestrooms come with all the necessary amenities and facilities required to have a relaxing holiday. Start your day with a rich breakfast at the Fra Martino Restaurant in the hotel. The following restaurants, bistros and cafes in the hotel and around the hotel offer a wide variety of dining options: Fra Martino, Pearl Lounge, Le Cafe, Broadside Terrace, The White Olive, Oasis Pool Bar, Henry J Bean's American Bar & Grill, Da Marina. Enjoy Maltese, Italian, American, Lebanese and Vegetarian cuisine styles at the hotel. Breakfast is buffet style with continental, international and local cuisine. Guests can relax in the spa area with fitness centre, sauna and whirlpool. A visit to the indoor or outdoor pool will surely revitalize you. The spa area offers a wide range of beauty treatments and massages for the guests. Among other things, get pampered in the hairdressing salon. Recharge your batteries with a game of tennis or volleyball. It is also possible to go diving and snorkelling in the immediate vicinity of the hotel.